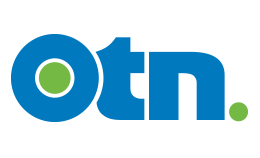 OTN is one of the largest telemedicine networks in the world, helping to deliver clinical care and distance education among health care professionals and patients using live, two-way videoconferencing systems and related diagnostic equipment. In addition to its capacity to bring health care to virtually any patient, anywhere, at any time, OTN also enhances opportunities for professional development for physicians, allied health care providers, and students. More than 3,000 health care professionals in more than 1175 sites across the province use OTN to deliver care to their patients. This year, OTN will deliver more than 135,000 patient visits. An independent, not-for-profit organization, OTN is funded by the Government of Ontario. Canada Health Infoway (CHI) provides OTN with funding to help develop a variety of special projects and our work is further supported by eHealth Ontario. We also partner with Keewaytinook Okimakanak Telemedicine (KOTM) – an award winning First Nations telemedicine program.